Skin Perfect: A Light Fluid That Adds No-Shimmer Radiance as it Invisibly Tones Down Redness? Why YES. Please. 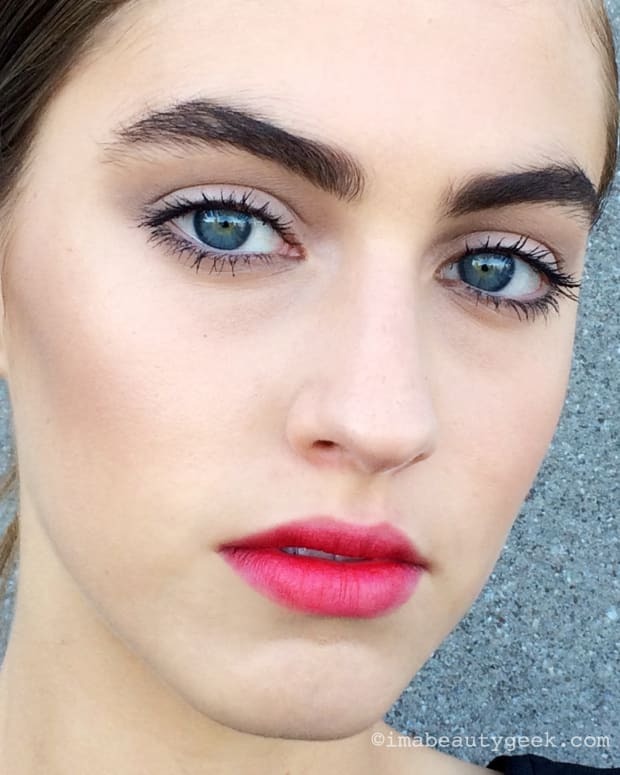 Need something to fake that morning-after glow? This marvelous fluid will do the trick without shimmer or iridescence, and it invisibly tones down redness, too. In one of the early scenes in Bridesmaids, Kristen Wiig&apos;s character slips out of Jon Hamm&apos;s bed, leaving him to slumber as she applies a few cosmetics so she can "wake up" beside him looking radiant. The marvelous makeup item I met today would have been ideal -- and it&apos;s the only thing Wiig would have needed to fake a natural afterglow. 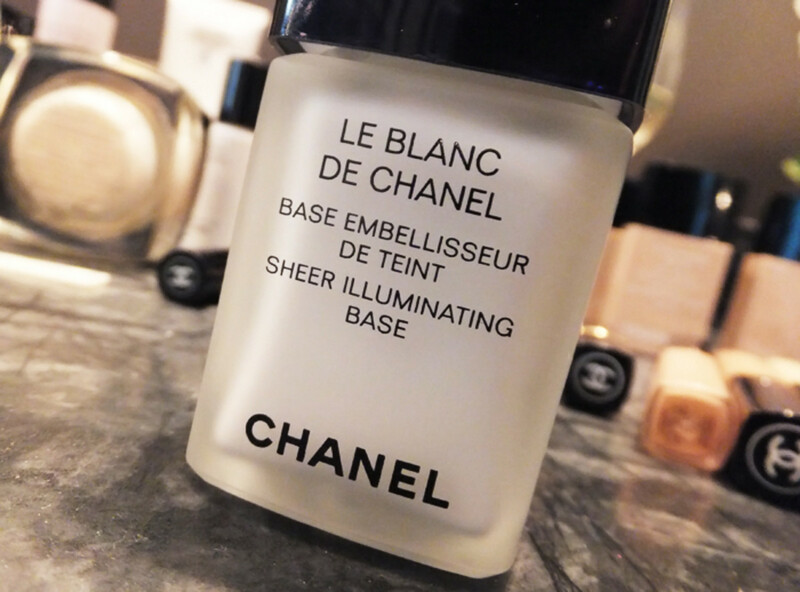 Chanel Le Blanc de Chanel Sheer Illuminating Base ($50 at Holt Renfrew, The Bay, and Murale) nearly blew my mind when I saw it in action via Canada&apos;s Chanel makeup pro Julie Cusson. It&apos;s white. Like milk. Looks daunting in the bottle, like it might give you ghost-face. But a small amount smoothed onto skin is a revelation. 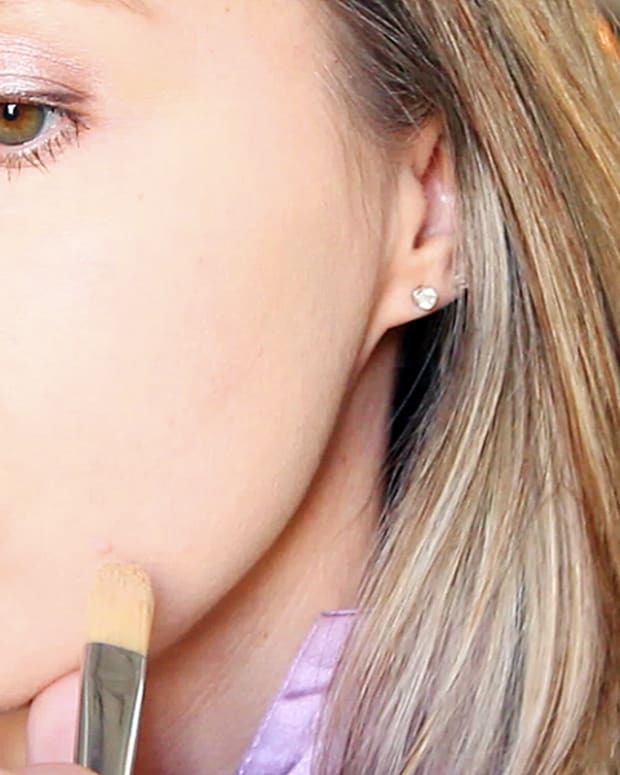 It&apos;s sometimes called a primer, but it isn&apos;t quite -- at least not in a heavy silicone-y way (as Kahani noted in the comments, it does contain silicone, but doesn&apos;t feel like it at all). It&apos;s not quite a highlighter either -- at least not in a shimmery way. And it&apos;s not quite a colour corrector -- at least not in a green or next-generation-bb-cream* kind of way. And don&apos;t be afraid if you have olive, medium or medium-dark skin tones --as you&apos;ll see here on a site called Weekend Ramblings, Le Blanc de Chanel will give your skin a natural healthy gleam too, without looking the least bit ashy. Note: if you&apos;re paraben-wary, Le Blanc has â€™em. I&apos;d say just use this stuff for special occasions if you&apos;re leery, but of course, it&apos;s up to you. Also note: the wide-mouthed bottle comes with a spatula. In the event you misplace it, you&apos;ll want to use a Q-tip to get the fluid from the bottle to the back of your hand or fingertips. If you tip the bottle and it comes out in a rush, Le Blanc de Chanel will be spilled milk you&apos;ll definitely cry over. Have you ever tried Le Blanc? How was your experience? *By next-generation bb cream I mean cc cream -- the cc stands for colour corrector (Chanel actually makes one, but it&apos;s only sold in Asia). Essentially, cc creams are bb creams with a titch more in the way of skincare benefits and coverage. More to come on that in another post.